On Thursday, April 26, Commonwealth Games Federation has confirmed that shooting won’t be a part of the 22nd edition of Commonwealth Games, which is set to be hosted in Birmingham. Earlier, the Birmingham Organizing Committee had announced the exclusion of from the Games, citing logistical issues. Despite, the sports ministry’s letter to the Commonwealth Games Federation (CGF), threatening to boycott the CWG-2022 due to the exclusion of shooting, the CGF on Thursday has confirmed that shooting will not be included in the 22nd edition of the CWG in Birmingham. A CGF spokesperson revealed that it was necessary for the Games’ host to propose a sports programme that would work best for them. 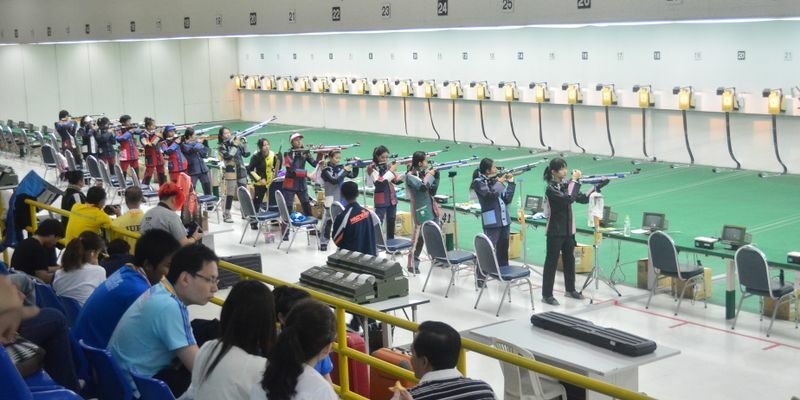 Shooting has been an optional sport and they (Birmingham organizers) had admitted that they don't have the facilities to host Shooting events, which was the main reason of its exclusion, the source clarified. “We (CGF) believe it is fundamentally important for the Games hosts to propose a sports programme that complies with our agreed rules but also works best for them. We understand that there will be a disappointment,” said the CGF source as reported by TOI. Durban was decided as the host for 2022 CWG but it later expressed its inability to host the Games owing to financial problems. The Commonwealth Games Federation later awarded the 2022 CWG to Birmingham. The news hit India hard after their shooters performed brilliantly in the recently concluded Gold Coast Games, where they bagged as many as 16 medals, seven of which were gold. Shooting, though an optional sport at the CWG, has been played in every edition since Kingston 1966, except once in Edinburgh in 1970. A few days back, National Rifle Association of India (NRAI) president Raninder Singh had called for India to boycott of the 2022 CWG if shooting was not reinstated, but Indian Olympic Association(IOA) president Narinder Batra termed it as going a "bit too extreme".